Jaguar Land Rover welcomed Rt. Hon Dr. Vince Cable MP, Secretary of State for Business, Innovation and Skills to open its cutting-edge Education Business Partnership Centre (EBPC). Advanced Manufacturing Centre, is bright and modern and uses cutting-edge technology following a £250,000 investment from Jaguar Land Rover and delivery partner Birmingham Metropolitan College (BMET). The Education Centre originally opened in 1998 and has hosted visits for more than 85,000 young people and teachers, offering a unique insight into the plant’s cutting-edge manufacturing facilities. "The next generation of engineers are fundamental to driving growth in the automotive industry. That's why I‘m delighted to open Jaguar Land Rover's innovative education centre during Tomorrow's Engineers Week. 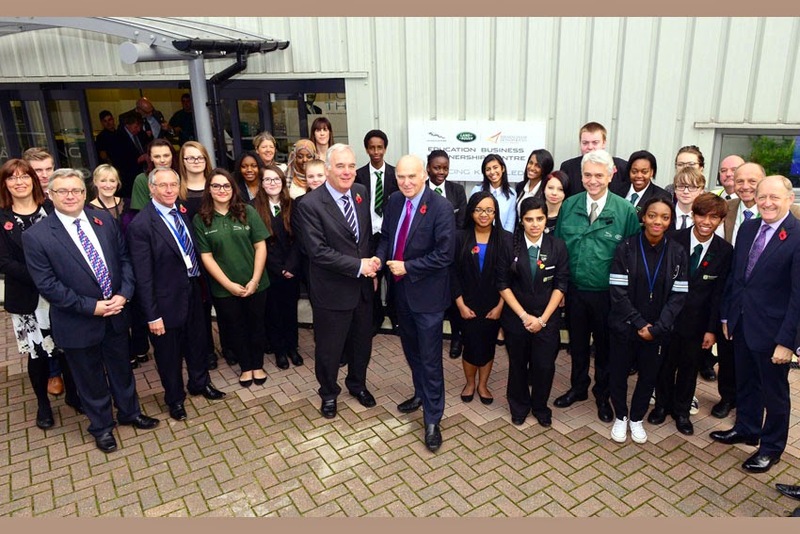 The centre will be at the heart of Jaguar Land Rover's investment in training our future car creators and makers, and will give young people the chance to fulfil their potential in a world-leading manufacturing environment," said Vince Cable. Mike Wright, Executive Director, Jaguar Land Rover, added, "The Automotive sector is incredibly competitive and needs more engineers, which offers an excellent opportunity to young people. It is critical that Jaguar Land Rover attracts the next generation of engineers and innovators to help our business achieve its ambitious plans for growth." "The new high tech Castle Bromwich EBPC demonstrates our commitment to education and will play an important role engaging and nurturing future talent from local schools. The courses on offer at the Education Centre help youngsters develop key employability skills and world of work awareness which will prepare them for a rewarding career on Jaguar Land Rover's industry leading apprenticeship programme."